There is something magical for a little girl about a big tulle skirt. 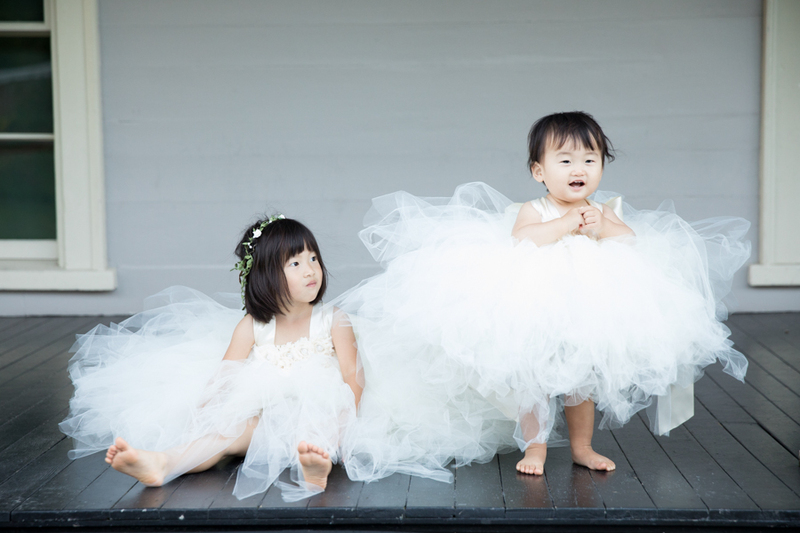 Mom and Dad surprised their two daughters with fluffy cream colored dresses at our shoot at the Lyman Estate in Waltham. 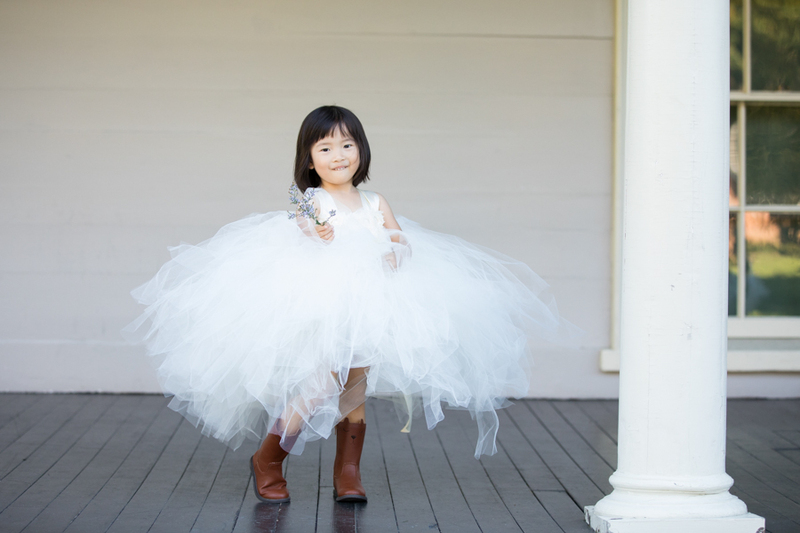 Hana was so excited by her puffball of a dress that before we even started the photoshoot she was twirling and laughing with delight in the parking lot. And of course, Hana outfit's was not complete without a flower crown! Kana is a bit too little for a flower crown, but one day soon, she'll rock one like her big sister. 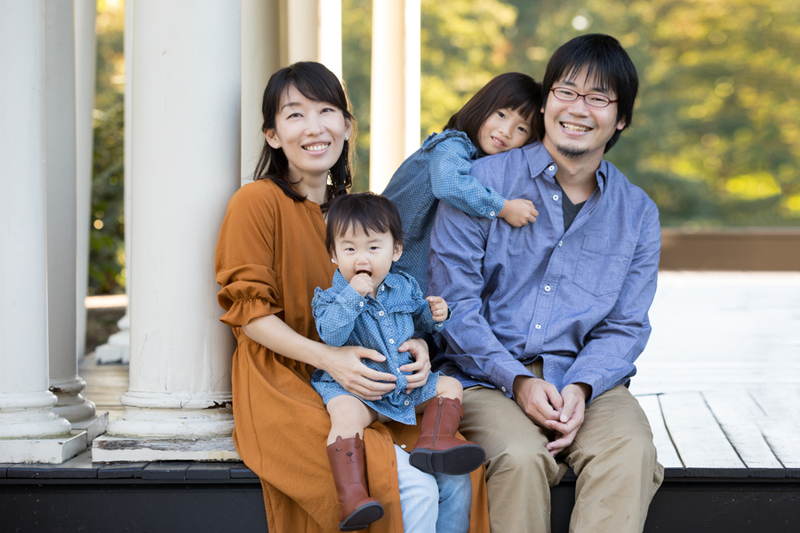 This was a special photoshoot for Mom, Dad, and their little ones, as they will be wrapping up their time in the United States and will soon be going back to Japan. And we had the perfect day to celebrate their time here with crisp blue skies and bright fall leaves to play in. One of my favorite shots is of the whole family sitting together on the porch. 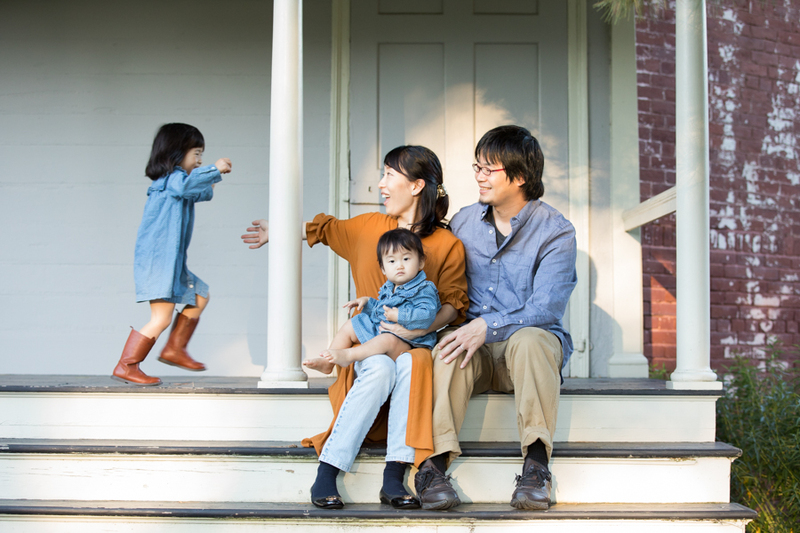 Hana was being silly and was swinging around the columns, until she'd run towards Mom and Dad and give them a big bear hug. Kana was cozy with Mom watching all of this ensue until she turned to the camera right at the perfect moment! 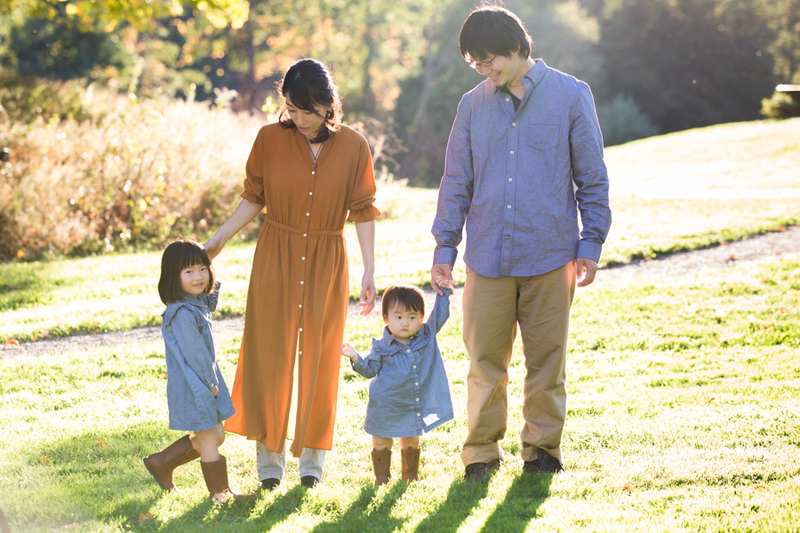 We are so glad we could capture these fall memories for them to look back on their time in Boston. I wouldn't be opposed to heading out to Japan for their next shoot though!